Click the button below to add the Aprilia RSV4 RF - RR 2016 -2018 Headlift Mate - Front Headlift Stand to your wish list. 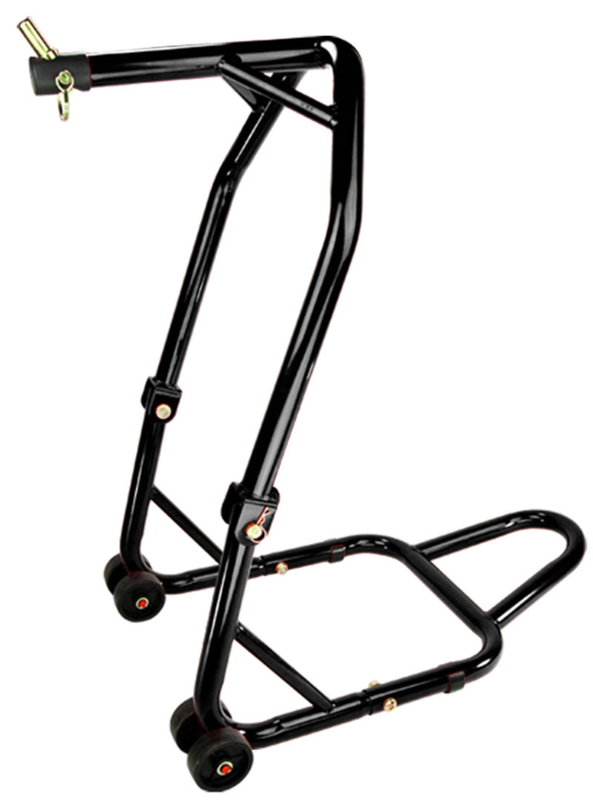 Engages into the hole under the bottom triple Clamp, when engaged the motorcycle front end can be raised to allow full unimpeded access to the wheel and forks. Ensure the Rear Stand is engaged and fully support the motorcycle before engaging the Front. The Head Lifter picks the front of the bike up using the hole in the bottom of the steering stem. Allows the removal of the wheel and forks. Motorcycles can be dangerous. Kaneg has no control over the use of any part. Kaneg is not responsible or liable for any damages or possible injury incurred, possible accidents due to driver error, incorrect installations, bad judgments or acts of nature. Buyer understands that some parts may need modifications for correct fitment, removal of factory lights, bodywork etc. We recommend you have a skilled technician install the parts purchased. Kaneg expects the customer to exercise good judgment as to the proper selection, installation, use and maintenance of any part.